What does tattoo innovation looks like? Glow in the dark tattoos? Digital tattoo arts? Painless tattoos? No one can really know until we have crossed that bridge. But nowadays, there are a few innovations that make this kind of art interesting to many. The word tattoo came from a Tahitian word “tatu” which means “to mark something”. It existed way back in 12,000 years BC. It served as a form of ritual and tradition in most cultures but some believed that it helps them keep a healthier body. The earliest tattoo was found in Egypt. Tattoos spread as Egypt expanded their own empire and later on it has reached China in 2000 BC. The Greeks, on the other hand, used tattoos as a form of communication and showed the ranks of the spies. As for Romans, it is used to mark criminals as well as slaves. Western Asia used tattoos to declare their social status. Pope Hadrian banned tattooing back in 787 AD and it persisted until the Normans invaded Britain in 1066. The culture of tattooing disappeared in the Western culture after that. Over the years, tattoos were associated to sailors who reintroduced this kind of art in Europe and later on the United States. 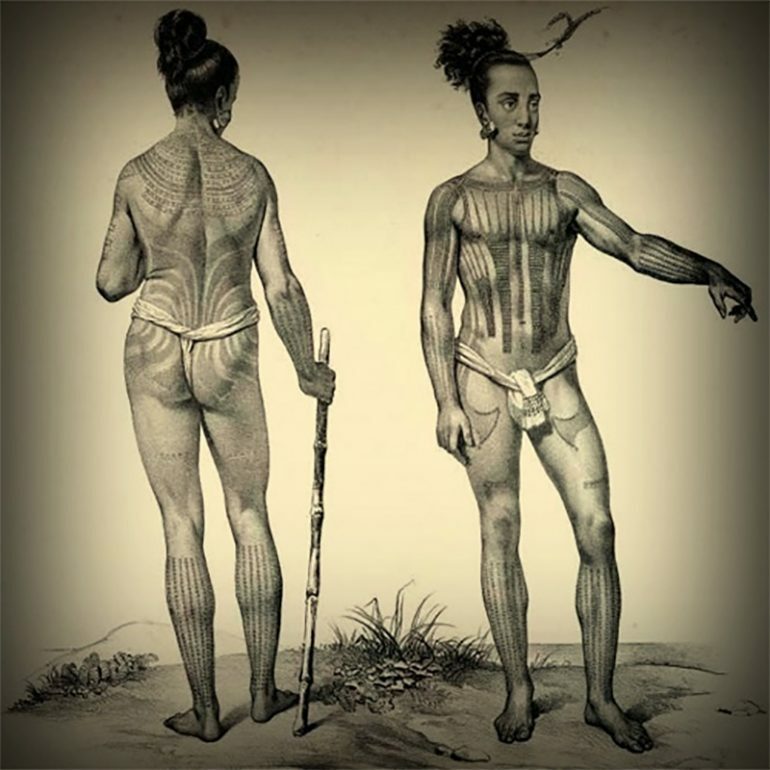 Modern tattooing evolved due to the unrefined ways of the British Navy. Samuel O’Reilly created modern 2 coil electromagnetic tattoo needle which was derived from Thomas Edison’s electric pen. This is technology is still being used until today. Nokia patented an ink that allows it to interact with a device with the use of a magnet. For example, if someone calls you on your phone, you can literally feel it in your tattoo. There are also glow in the dark inks. 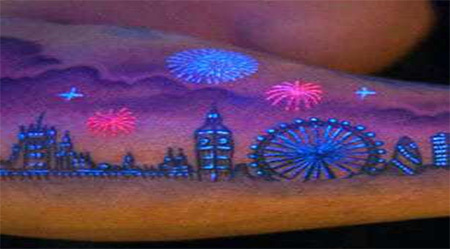 Usually, tattoos are supposed to be seen with a naked eye, but this ink requires a black light to be visible. Keep in mind that the risks of this ink to your health are still unclear. Of course, tattoos are permanent but there are some people who want it to be removed later in their life. The removal is painful but thanks to the innovation of 2 scientists from Harvard it is now painless. These 2 produced a removable ink that is stored in a microscopic capsule which can be removed easily by a laser. Instead of injecting ink in your skin, this one actually plants an LED display. LED tattoos came from silicon electronics which are 250 nanometers thick, water soluble, and biocompatible silk substrates. Once saline is injected, the ink dissolves completely and blends with the tissue. Karl Marc said that he had created the first ever animated tattoo that utilizes a smartphone or a QR code. The tattoo will be seen moving through a smartphone after the code has activated the software. This was launched in July 2017. A shortwave form is produced from anything like your baby’s first cry or laugh, then it is tattooed in your body. The associated image and sound is uploaded in the database and can be accessed with the use of Soundwave app by scanning your tattoo. True enough, the future of tattoos can offer a lot of things to everyone. It is not just a form of art or self-decoration but rather it is moving towards being more functional.